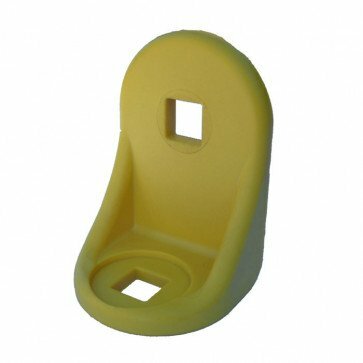 Replacement polyethylene 90 degree angled fixing bracket suitable for Ledon, FLP, Wicksteed Playmates, Playdale and Record spring rockers. Our replacement spring rocker beam connection bracket will suit Ledon, FLP, Wicksteed Playmates, Playdale and Record spring rockers. All ledon 90 degree fixing brackets are suitable for M10 fixings.